13 remarkably specific superlatives about Turin | Where's Zoe now? I have no idea if these factoids come from a guidebook somewhere, or if they’re just part of the local folklore, but I’ve always loved how specific they are. The largest outdoor vegetable market; the biggest collection except for the Louvre. I feel like someone’s had to really look for the superlative. Apparently, more Spritz Aperol is consumed in Piazza Vittorio on a typical summer Saturday night than anywhere else outside the Veneto region. Apparently, Turin is the only city in Europe where the driverless subway stops running when there is a train drivers’ strike. Apparently, the Po is the longest river in Italy but contains the fewest fishes. This isn’t even half of it! Apparently, Porta Palazzo also has the third largest covered fish market in Italy. Apparently, there are more tennis courts on the hills next to the River Po than in all of the city on the other side of the river. This is the fifth most dramatic tennis court geographical disparity in Italy. 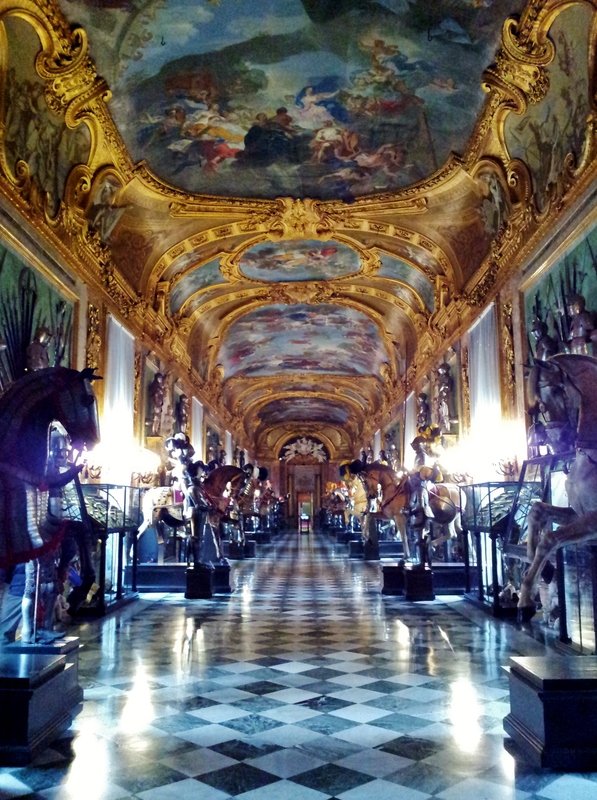 Apparently, the collection of horse armour in Palazzo Reale is the bigest in all of northern Italy and southern France. Horse Armour Collector’s Magazine considers it the best-housed collection in western Europe. Apparently, Corso Unione Sovietica is the only street in southern Europe named after the USSR. Apparently, the Shroud of Turin is the highest-threadcount sheet of fabric made before 1870. 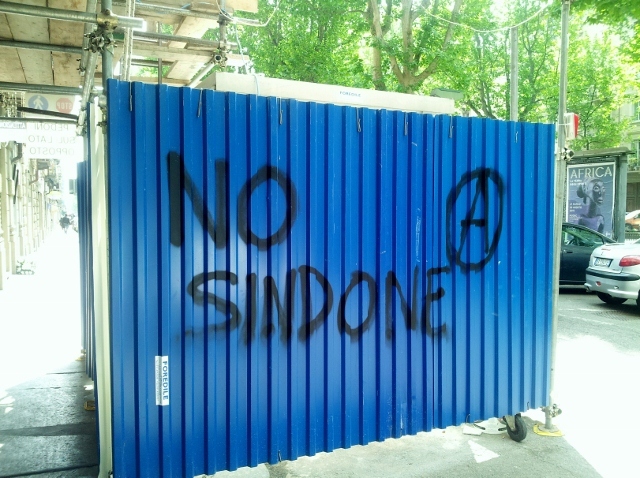 I don’t have a picture of the Sindone (Shroud) so this bit of graffiti will have to do… translation is self-explanatory I think. Apparently, Parco Valentino is the biggest riverside park containing a mock-medieval village in the world. 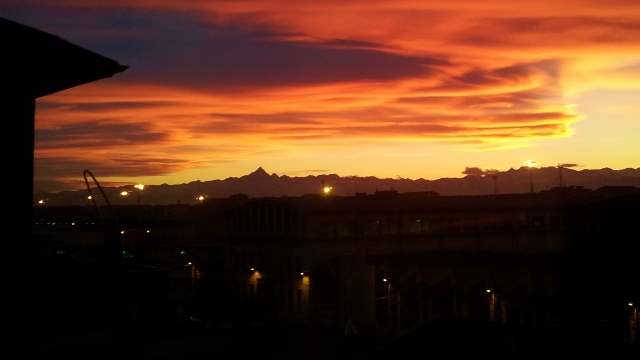 Apparently, winter sunsets over the Alps are the most dramatic sunsets in the Northern Hemsphere, coming in at 15.3 DU (Dramatic Units) in a recent measurement. Apparently, Turin has the second highest number of statues of men on horses per square metre in the world. The highest number of statues is in a city in central China where they are on every street corner. However, Turin wins in the category of weight of statues per square metre. That’s because the one in Piazza San Carlo is particularly heavy. 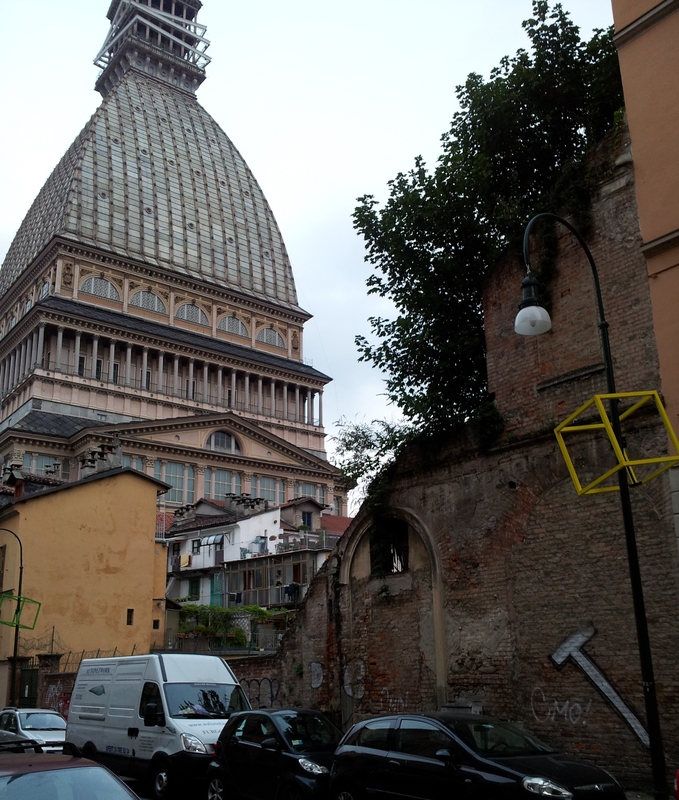 This entry was posted in Living in Turin and tagged did you know, humour, travel, true facts on June 14, 2015 by Where's Zoe Now?. I LOVE that Egyptian Museum sign! I’ve taken photos of it before. Sarie and I had a good chuckle over the strike of the driverless subway, too :-) And the dramatic units, although for us, DU has always stood for discomfort units. Perhaps we are pessimists! They’re (finally!) taking down that scaffolding, so the sign will be gone soon – if not already. A great loss! No no no they can’t take away that sign! It should have UNESCO landmark status!!!!! A mock-medieval village?! Haha. What a quirky place. I love your blog Zoe! 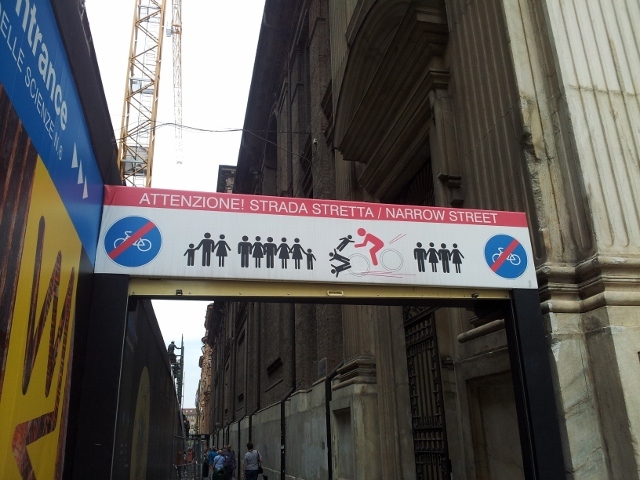 It helps me relive my time in Torino, and it is hilarious!